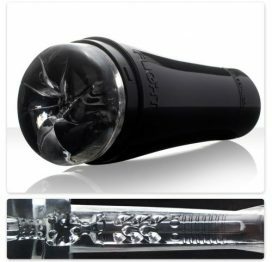 The Flight Instructor by Fleshlight is a sleek, compact, refined version. Its stylish, aerodynamic design and discrete insert makes it less obtrusive and easier to travel with and store. The Pilot texture is turbulently pleasurable, incorporating a number of texture (bumps, fingers, ribs) and canal width changes that will have you flying to new heights. 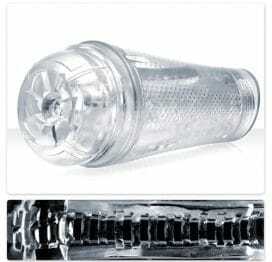 Fleshlight Flight Instructor Features: Simple, non-anatomical orifice. Clear sleeve. White case. Total length 8 inches, 6 inches insertable. Includes a Flight adaptor that will allow for attachment to the shower mount, enabling the use of the Flight in and out of the shower. The adapter also enables VStroker Virtual Reality, sold separately.